WOOSTER, OHIO–Last week I gave a talk about the coming End of Time scheduled for December 21, 2012. You may have heard that the Mayan Long Count Calendar ends on the day before the 2012 winter solstice, and that all sorts of global catastrophes have been predicted to mark the event. 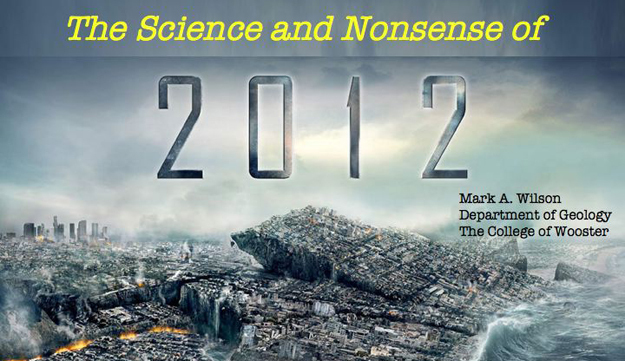 I was invited by Ohio State University Mansfield and North Central State College to describe the cataclysmic ideas about 2012 and explore the pseudoscience behind them. It was a good opportunity to explore the value of science and scientific thinking … and hearty skepticism. I’ve attached the 2012 lecture here as a PowerPoint file which should open in your browser with a click-through display. There is no audio, alas, so you’ll just have to imagine the jokes. You might also be interested in the “living syllabus” of our First-Year Seminar course on “Nonsense“. Two Wooster geologists, Colin Mennett (’10) and Terry Workman (’10), are featured Voices of Undergraduate Geoscience Research on the Council for Undergraduate Research (CUR) Geoscience Division website. 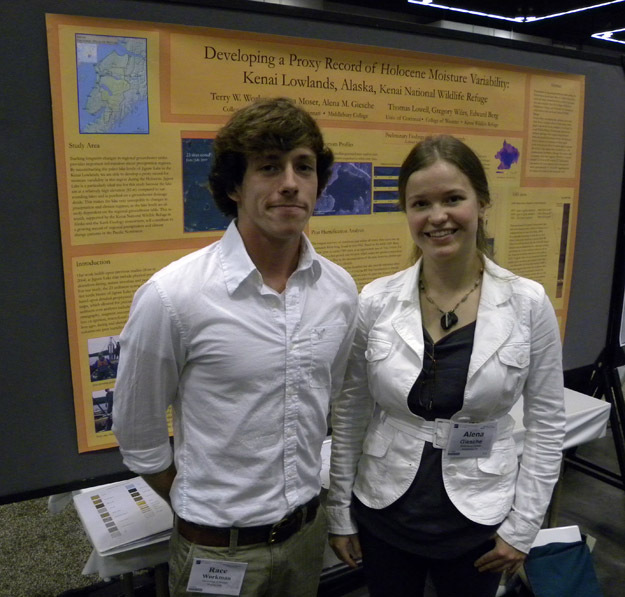 Colin and Terry were interviewed by a CUR Councilor when they presented their research at the 2009 Annual GSA Meeting in Portland, OR. In the podcasts, Colin and Terry discuss the benefits, difficulties, and strategies of working one-on-one with faculty on a year-long Independent Study. If you’ve ever wondered what it’s like to do an I.S. at Wooster, here’s your opportunity to hear about a couple of first-hand experiences! Enjoy! 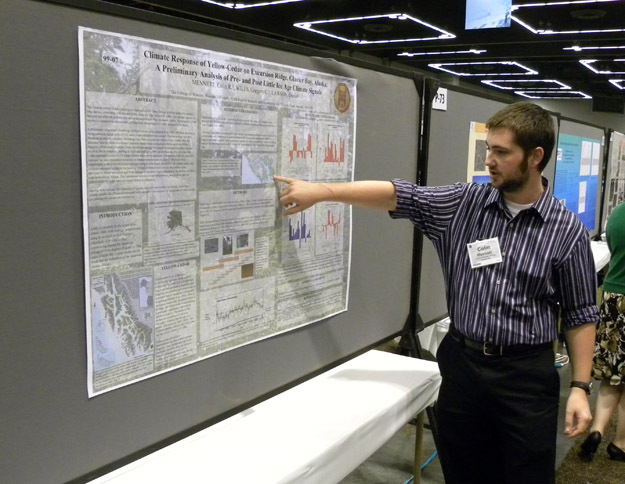 Colin Mennett explains the results of his work in using tree-rings to investigate the Alaskan Cedar Decline. Get to know the students over the week as they discuss their favorite hazards. Then follow the blog for updated information on current hazard-related events! Lunar Ilmenite: Next Gen Fuel Source Part 1 and Part 2 presented by Andrew Retzler ’11.